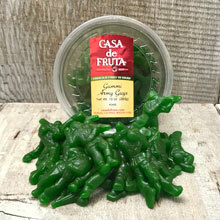 Green Apple flavored Gummi Army Guys. Packaged in a 10 oz. tub.